Cecil and Rose Home Supplies - through our website FIRESHELL SOUTH AUSTRALIA - is the exclusive dealer of FIRESHELL® F1E coatings in South Australia. FIRESHELL® (F1E) is an exterior rated, flexible 1-part, self priming intumescent fire resistant paint for use on a variety of timbers. F1E meets the requirements for bushfire-resisting timber specified in AS3959:2009 Construction of Buildings in bushfire-prone area Appendix F. Bushfire-resisting timber is timber that is deemed to be acceptable to withstand exposure up to a BAL—29 condition. And where exterior fire resistant paint applications and bush fire resistant timber are required. We work closely with EXFIRE, the Australasian distributor for TPR2 technology. TPR2 ‘Thermal Product Research has over 20 years experience developing solutions for the military, public and private sectors. EXFIRE aims to bring the solution based approach of the TPR2 philosophy along with its high-performance coatings to the Australian market. Providing innovative solutions to specific problems, tested to both Australian and U.S Standards. 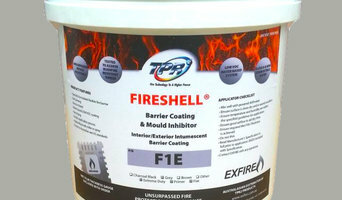 Fireshell South Australia is an informational website for FIRESHELL® F1E coatings. To discuss the FIRESHELL® F1E technology or place an order please fill in our contact form or email us at hello@cecilandrose.com. You can also call us on: (08) 8240 3029 Our warehouse is located at 25 William Street, Alberton, close to the rejuvenated industrial district of Port Adelaide and just off Grand Junction Road. Collection of your FIRESHELL® F1E order is by appointment only. Gripset Industries is an Australian owned company that has been developing and manufacturing waterproofing products for over 30 years. In the early 1980’s the company commenced developing alternatives to solvent based bitumen and resin coatings, using water based and solvent free technology. Gripset Industries has never manufactured solvent or hazardous products, and is a pioneer in green friendly technology and continuing as a market leader today. 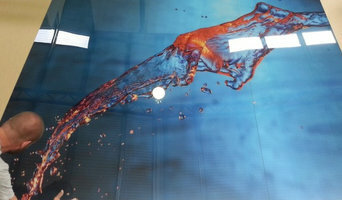 The evolution from this unique technology has led to the development of high quality waterproofing systems for wet areas, weather-exposed surfaces, subterranean structures, and continuously immersed areas, including potable water systems. This also led to the eco-friendly Pavement Protection Systems, offering safer alternatives to the traditional hazardous coatings for roads and pavements. 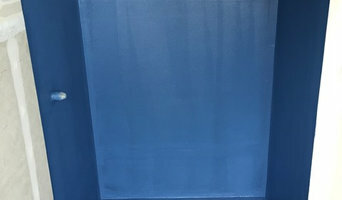 The innovative focus of the company has progressed to the next generation of protective coatings, using 100% natural materials to solve industry and environmental problems. From this, the Gripset WB1 and WB2 chemical free timber preservative systems were launched, providing products that are free of biocides and chemicals with the ability to protect timber from insects and fungus, treat and repair wet/dry timber rot and provide timber preservation applications that have not previously existed with traditional chemical toxic products used in the timber market. Gripset Waterproofing and Pavement Protection Systems continue to be used throughout the Asia Pacific region, providing long term solutions to many high profile projects including: Melco Crown’s City of Dreams Casino Hotel Macau; Britomart Auckland Rail Station; Microsoft Agilent Technology Plant in Singapore; Melbourne’s West Gate Freeway bridge; Avalon Airport; Nanchang Boill Peninsula Apartments Shanghai. Our continued focus on R&D will provide the market with further innovative and sustainable solutions for the built environment. Outdoor building solutions made from Australian BlueScope Steel COLORBOND(R) and ZINCALUME(R). We make standard size as well as Custom Made and irregular Garages, Carports, Verandahs, Curved Patios, Commercial/ Industrial/ Rural Buildings, Tool sheds, Garden sheds, fencing and Roofing supplies. We cater for our customers' unique requirements and specifications, while being conscious of budget requirements. 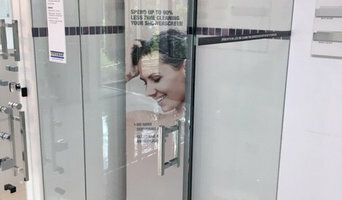 We are a glazing business specialising in kitchen, laundry and wet area splashback installations, shower screens and general glazing and glass requirements. Basket Range Sandstone Quarry commenced operations over a century ago. It is the only sandstone quarry in South Australia (only 25min from Adelaide itself) to never have ceased continuous production of quality building and landscape stone. Established in 1979, Ornamental Plasterworks designs and manufactures a variety of architectural plaster and cement detailing products for internal and external application. Suppliers of local heritage work and the ability to produce any design to meet your needs, be it modern or classical in nature. Seima is a wholly Australian owned company specialising in design, production and marketing of quality building products for the Australian market. As a leading manufacturer of plumbing products, Seima services Australia's foremost plumbing distributors and Seima products are specified by leading architects, designers and builders. Seima products include tapware, ceramic basins, stainless steel sinks, toilets and cabinets. 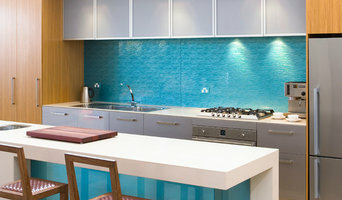 We also design and manufacture custom products to suit specific project requirements. Seima is an independent manufacturer and you are free to purchase Seima products from your preferred distributor, ensuring competitive pricing. Our customers will always receive prompt, professional service and quality products that are targeted to their market. The Seima product range is characterised by its designer styling at affordable prices "our aim is to get products out of the international design magazines and into Australian bathrooms". Seima has its head office in Adelaide, and designs products to be manufactured to the specific needs of the Australian market. Seima products not only look great, but are backed by an unsurpassed warranty and support commitment. In this category you’ll find companies that source and provide everything you need to build your Green Hills, South Australia home from the floor up, from timber flooring and synthetic grass to plumbing supplies and door hardware. Some companies will stock all kinds of hardware, while others will have areas of expertise. Raw materials and how they’re applied – including everything from metal roofing and timber panelling, to board-formed concrete and porcelain tiles – can provide infinite design possibilities. If you’re working with a Green Hills, South Australia builder, architect or designer, they will likely have favourite building materials they like to work with, as well as favourite suppliers. Ask them for examples of how the material has been used in past projects, and seek out alternatives for comparisons. Find building supplies in Green Hills, South Australia on Houzz. Scroll through this page to find companies that source and deliver building supplies in your area. You can browse their portfolio, read reviews and see how other tradesmen and homeowners rate their customer service, expertise and product.